Covesting platform helps investors and professional digital asset managers find each other. Thanks to cutting-edge technology, Covesting allows its users to replicate trading activity of a chosen strategy directly into their segregated account at Covesting. To help investors from around the world enjoy professional asset management services, by bringing copy-trading platform to the digital currency markets. Users can easily browse through dozens of trading strategies, provided by professional digital asset managers and subscribe to the ones matching their goals. 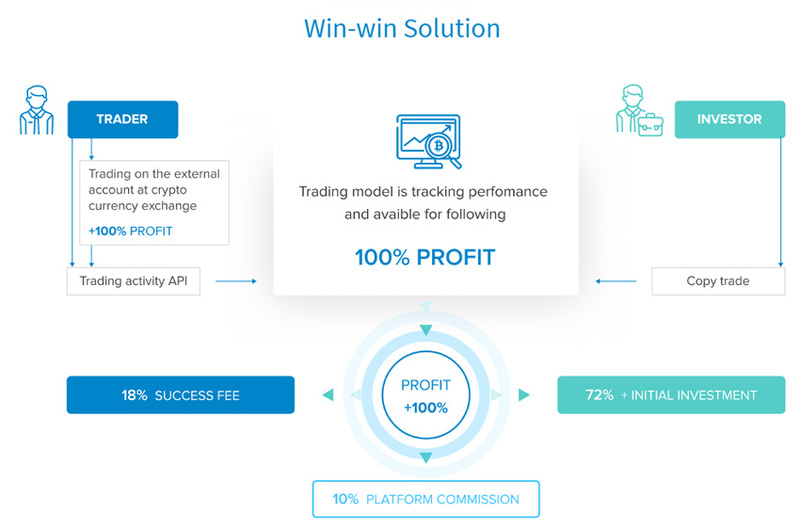 Platform allows to get an overview of each strategy, access real-time and historica trading performance, read reviews and even ask questions. Each member can diversify investments by following up to 20 different trading Model with individual risk management for each distribution. Consolidated, real-time reporting enables investors to get a full picture of all investments at any time. Instead of spending time on looking for clients, asset managers and crypto traders instantly get access to the combined capital of all Covesting community. Each trader can easily setup a trading Model and earn additional income by allowing others to copy their trades. The more successful trader is, the more Followers he or she will be able to get and more money to make from profitable trading. Fund managers and traders have access to a variety of reports every aspect of their trading, revenue and Followers – all in real-time. The Trading Terminal is a natural addition to the complete COVESTING infrastructure. Having aggregated liquidity and a strong educated community, it becomes a necessity to introduce a trading terminal adapted for both experienced crypto-traders and beginners.